Microsoft is planning to build a HomeHub feature into future Windows 10 updates to better compete against devices like Google Home and Amazon’s Echo. 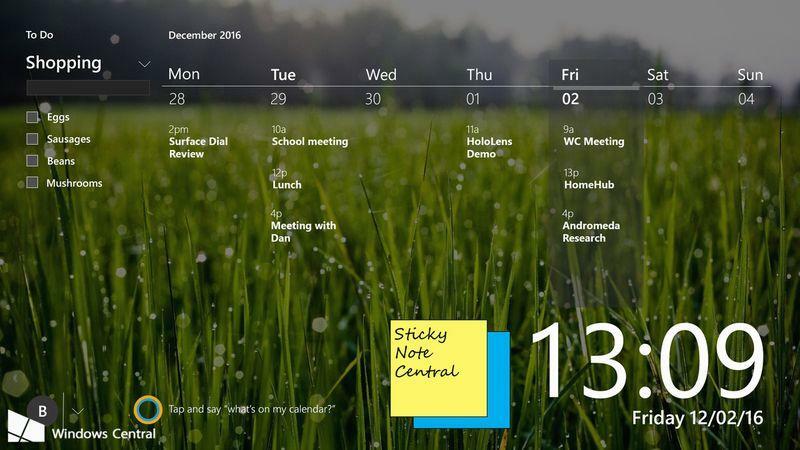 Sources familiar with Microsoft’s plans tell The Verge that the feature is currently in the planning stages, and the software maker is expected to introduce a “HomeHub” in updates due in 2017 and 2018, and not the upcoming Creators Update. HomeHub is designed to be a service and feature that will run on any Windows 10 PC and turn it into a machine where Cortana can be summoned from the lockscreen to provide useful information. The primary focus for HomeHub is to create a family environment for a PC. Microsoft has tried a variety of different methods to enable family accounts, privacy controls, and app sharing over the years, but HomeHub is part of a new Family team in the Windows group at Microsoft. Microsoft is planning to enable Cortana to be the center of its HomeHub initiative, and the integration will allow the assistant to provide HomeHub-like features across iOS and Android. This will include extending the assistant to control smart devices and manage them from the Windows 10 HomeHub feature. Microsoft’s HomeHub plans are currently in the planning phases, so many features will likely change and the interface itself could be entirely cut out of future Windows 10 updates. Microsoft has largely been last to develop the smart home features, despite having Cortana running on the Xbox One. The HomeHub is Microsoft’s bet to try and control the ecosystem before any of the other big players provide the best framework to manage devices in your home.